If cancelled within 48 hours of booked date, there will be no refund unless we can resell the beds. Group bookings depend on availability. 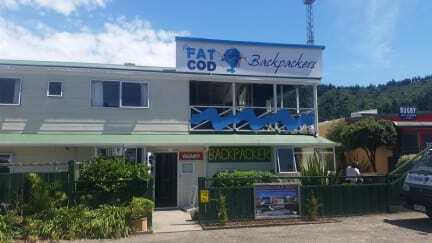 Fat Cod Backpackers offer a clean, warm, comfortable and friendly atmosphere. We are making changes to a wonderfully located backpackers. We have painted and modernised a purpose built backpackers in the heart of Picton. Our work is on going so we can always provide a high standard of accommodation for our guests. Our office hours are 8.30am until 9.30pm check ins from 11 am. For checkins after 9.30pm you must ring our office and make arrangements before you book. OUR Facilities include -- shared bathroom, kitchen and lounge, a laundry with a washing machine and a dryer. All rooms have linen, blankets and hot water bottles are also available free of charge. FREE Tea, coffee, herbs, spices. This hostel caters for all Nationalities and has a nice friendly welcoming feel to it. Our staff are here to help and advise on activities around the Picton area. This hostel has a nice spacious, homely feel. Come to relax, unwind and re-energise. We are closest to the ferry, buses(150m) and the information centre and Railway Station (20m). 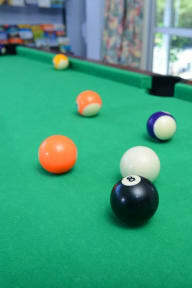 The town centre (80m), foreshore (across the road), mini golf and other attractions are nearby.